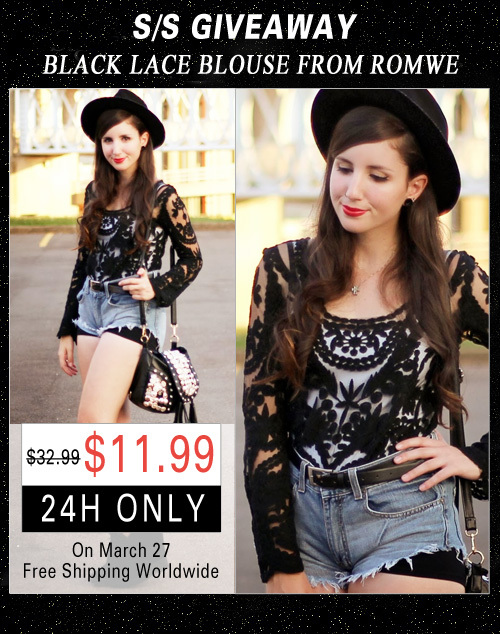 Alexa's Style Blog: ROMWE Black Lace Blouse Giveaway! Do you remember this popular Daily Style post? I personally *love* my lace blouse from Romwe & now I have the chance to hold a giveaway for the black lace blouse! Weee! I'm so excited! 1 winner will be picked in 5 days. Good Luck! Save another 10% for lace blouse on March 27th.